Many types of medical practices are implementing PACS and creating different types of relationships with radiologists. McHenry County Orthopaedics, which is opening an ancillary office in December, needed to install a PACS to ensure seamless communication between the two locations. The seven-orthopedist practice in Crystal Lake, Ill., went digital a little more than five years ago. 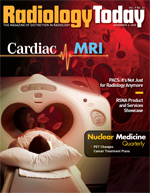 While PACS grew out of radiology departments’ need to manage, distribute, and store digital images in the 1980s and 1990s, it is no longer solely radiology’s domain. Single-specialty groups such as McHenry County and multispecialty groups across the country illustrate how PACS has grown beyond the radiology department’s tool. They’ve been using it for a while now and wonder how they ever got along without it. “I remember the days when the debate was ‘should we get PACS?’ Now it’s the way business is done in today’s environment,” says John Basile, administrative director of radiology for Mount Kisco Medical Group, a large multispecialty group with multiple locations in New York’s Westchester County. The medical group has more than 180 primary care and specialty physicians, including experts in 30 specialties and subspecialties, and is growing. How the multispecialty groups that have PACS handle reading images varies. “In terms of PACS, in many respects, we’re the same as everyone else,” Basile says. “And in many ways, we’re different.” Some have radiologists as part of their group, and some contract with radiology groups to read for them. Still others use a combination of staff and contract radiologists. McHenry County Orthopaedics surgeons were assured that they would not have to change the way they practice medicine when the group adopted PACS, says administrator Manette A. DeCremer. Prior to the PACS acquisition, the practice contracted with a local radiology group, Meridian Regional Imaging in Vernon Hills, Ill., for its MRI reads. That contractual relationship continues today, she says. “We chose Meridian Regional Imaging because the radiologists were fellowship trained offering subspecialty expertise,” DeCremer says. The group consists of eight radiologists specializing in musculoskeletal, neurological, and body. MRI images, as well as a patient’s history, prior MRI studies, and plain film radiography, are all sent remotely from McHenry County’s PACS to Meridian for interpretation. DeCremer says they opted to maintain strict control of their network, so McHenry County sends Meridian all cases vs. Meridian downloading them from McHenry County’s PACS. “It’s really a matter of choice and what you’re comfortable with,” DeCremer says. Having the PACS has improved turnaround time and reduced operating costs. “We have always maintained a 24-hour turnaround policy for MRI readings,” DeCremer says. “However, today, reports are back within a few hours.” Prior to PACS, the technologist would create two sets of film, one for the McHenry County surgeon and one to be picked up by Meridian for a reading. “Creating two sets of films was not cost-effective or efficient,” DeCremer says. Although the group chose to stay with a local radiology group for its reading, having PACS would have enabled it to contract with a teleradiology group anywhere in the world. “PACS allows practices to access radiology groups beyond their immediate communities, which sets the bar higher for quality service,” DeCremer says. One point, DeCremer says, was making sure that the PACS vendor and the system did not change physician workflow in any way. Unlike some practices, McHenry County chose not to place its PACS viewing stations in the exam rooms. Prior to PACS, the surgeons read radiographs from the view boxes outside patient exam rooms. DeCremer believes McHenry County’s implementation was successful because it installed a PACS (by Viztek) that fit its current workflow and provided a focused set of orthopedic tools, as well as simplified software. Having the PACS system has proved beneficial to Mount Kisco in many ways, including attracting new physicians and improving the quality of care, Basile says. Crystal Run Healthcare is a fast-growing multispecialty group in New York that employs more than 170 physicians in 10 locations throughout the Mid-Hudson Valley and lower Catskill regions of New York. Its radiologists are subcontracted, and five read from two of its sites on a daily basis. It, too, is opening a new, larger building next spring and expects to have eight radiologists reading full time once it builds up its volume at the new site. It chose a PACS from GE Healthcare and has given each physician a laptop for viewing images and results, says Ernesto A. Cerdena, MS, RT(R)(CT)(CV), CRA, its planning and operations administrator. Crystal Run adopted PACS in 2002 and a year or so later integrated its system with its RIS. It also upgraded its PACS at that time and is looking at yet another upgrade or new system to meet its growing imaging needs. Oregon Medical Group is a multispecialty physician group with clinics in Eugene and Springfield. It has 13 clinics served by about 120 physicians who order about 58,000 imaging exams each year. The group has five radiologists, four of whom work for the medical group when its clinics are open. It has had PACS for just over three years. Dawn Adell, BSRT(R)(CV), director of diagnostic imaging for the group, says the key to its success with PACS is choosing one vendor that could handle all of its CR and DR imaging equipment and PACS needs. It chose Carestream Health. Adell also advises making sure the PACS system has the capability of creating normal reports at the radiologist level. That way, she says, if a radiologist sees the images are normal, rather than having to send a report that says it’s normal and having to have that report transcribed, he can click “normal” and it never goes to transcription. Having this feature has saved the group a tremendous amount of money on transcription services and the PACS a fortune on carriers, according to Adell. Oregon Medical Group is planning to upgrade its PACS and talked with Carestream about allowing the staff to schedule more than one imaging exam at a time. Currently, if a physician orders an x-ray of a hand and forearm, both have to be scheduled separately. But when the upgrade is complete, both exams will be able to be scheduled using the same code in one step rather than two, Adell says. That experience shows the importance of working with a vendor that can customize the system to your group’s needs and protocols, she adds. All the radiology directors interviewed for this article agree that when a group becomes dependent on PACS, downtime can be a real issue. But none reported having a serious issue where its PACS was unavailable for more than a few hours.